Mr. Miller, a resident of Wrightsville Beach, North Carolina, was appointed to the UNCW Board of Trustees by the UNC Board of Governors to serve a term ending in 2019. He is Chair of the Educational Planning and Programs Committee, and serves as a member of the Business Affairs Committee and Executive Committee. Mr. Miller, a licensed real estate broker, is President of Miller Realty Associates Inc. and M&N Equipment Rentals Inc., and serves as a Senior Vice President for Cape Fear Commercial LLC. Prior to joining Cape Fear Commercial, Miller was Chairman of Miller Building Corporation. He maintains a general contractor's license. A Wilmington native, Miller attended North Carolina State University and graduated from UNCW in 1985. He currently serves as a member of the Board of Aldermen for the Town of Wrightsville Beach. He has served in leadership roles with numerous civic organizations, including the Wilmington Urban Area Transportation Advisory Committee, the Wilmington Regional Association of REALTORS Government Affairs Committee, and the Board of Directors of the Greater Wilmington Chamber of Commerce. He also has served as Chair of the UNCW Foundation Board. He is assistant treasurer of the Board of Directors of the Cape Fear Council of Boy Scouts and immediate past president of the Board of Directors of the Thalian Association. 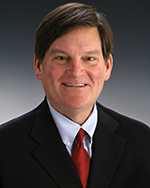 Miller previously held civic roles with the Thalian Hall Center for the Performing Arts Board of Trustees, the Leadership Team of the Partners for Economic Inclusion and the Town of Wrightsville Beach Planning Board. Miller is past president of the Board of Directors of Cape Fear Academy. He formerly served as co-chairman of the North Carolina Holiday Flotilla and is a past president of the North Carolina Azalea Festival (1994). Miller also served as a member of the Southeastern NC Economic Development Commission and the Board of Directors of the Charlotte Partnership and NC Citizens for Business and Industry.